Pre-workout supplements give you instant energy but what happens later on? People exercise for different reasons. Some want to lose weight others want to put on muscle. There are those who plan to join a competition while others have simple yet nobler pursuits such as staying healthy. But many also look for an advantage; a key to achieving results faster than everyone else. Does a magic potion really exists that can make your fitness goals come true? One such “magic potion” is the Pre-Workout Supplement which has become increasingly popular the last few years. If you search the Internet for the top selling supplements in the market, chances are a pre-workout supplement will be at number one. Over the last few years, more supplement manufacturers have been producing pre-workout supplements with features that are designed to differentiate them from the rest of the market. It is clearly an in- demand product but it has had its share of controversies. A pre-workout supplement of PWO is designed to give your workout a boost by enhancing mental alertness, focus and muscle contraction. Beta Alanine – Increases the production of carnosine, an intra- cellular buffer that delays the onset of fatigue. L- Arginine – Increases the production of nitric oxide in the body and results in greater vasodilation which is more popularly referred to as “the pump”. Caffeine – In high doses or above 225 mcg, caffeine can increase mental alertness, focus and increases metabolism for fat burning. Creatine – Produces Adenine Tri- Phosphate or ATP; the body’s immediate energy source which causes forceful muscle contractions. Taurine – An amino acid that fights oxidative stress. Tyrosine – An amino acid that could enhance focus and improve physical performance. After a rundown of the key ingredients in a PWO, it would seem from the outset that it is a safe supplement for everyone and does not have side effects. But there have been reports of health issues from using PWO’s. If you plan to use a PWO, be aware of its Pros and Cons. Increased Alertness – Anybody who has taken a PWO supplement will tell you that upon 30 minutes of ingesting one scoop, listening to Barry Manilow music would not deter you from hitting the gym with all out fury. If you review the ingredients, you will notice that a number of them are designed to increase mental focus and alertness. Many users of PWO will comment that they feel more “aggressive” when they take it. Increased Strength – There have been several studies that show taking a PWO supplement could result in immediate strength gains. If you’ve read many of the supplement review forums, a good number of community members report massive strength gains by Day One. 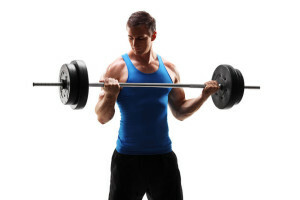 The combination of Beta Alanine and Creatine is known to possibly increase strength. Then you have L-Arginine which induces vasodilation. Greater blood flow brings more nutrients to the muscles and increases its ability to contract. 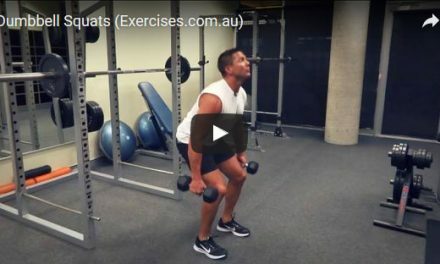 Lower Incidence Of Fatigue – People who use PWOs claim they can work out longer without easing up on the level of intensity. Again, we point out to Beta Alanine and its ability to produce carnosine as the main culprit. When you take Beta Alanine, you feel its effects right away. You will feel a tingling sensation all over your body. Increased Fat Burning – When you have a supplement that makes you workout harder for longer periods of time and increases your level of metabolism, then you have a product that can possibly burn fat while you are building more muscle! Elevated Heart Rate – Taking a supplement that has a high dosage of caffeine, L-Arginine and Beta Alanine may increase your heart rate to a level that it may lead to an irregular heartbeat. Affected Sleep Patterns – It takes a few hours for the PWO to leave your body after training. If you take the PWO six hours before bedtime, the high dosage of caffeine may disrupt your sleep patterns. Adrenal Fatigue – Imagine driving your car at full speed; the engine revving on high for two hours straight. Your car may blow a gasket. 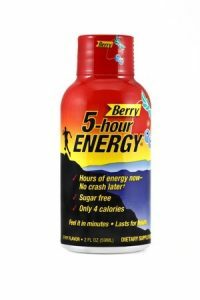 The same thing applies for the human body that is highly revved up by Beta Alanine, L-Arginine, Caffeine and Taurine. Some users have complained of the “crash” hours after taking a PWO. 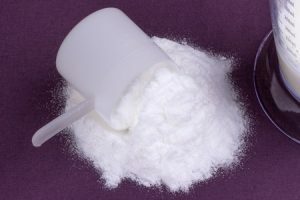 Risk Of Failing Drug Test – Years ago many PWO’s contained an ingredient called DMAA or 1.3 dimethylamylamine. It was supposed to be a powerful stimulant that could increase mental alertness, promote fat- burning and enhance strength. But some studies said it had a “steroid- like” effect in that it increased testosterone levels. Competitions that are under WADA or World Anti-Doping Agency randomly test people for elevated testosterone. Many of today’s brands have removed DMAA to comply with WADA regulations. Are You A Health Risk? Before taking any supplement, vitamin or mineral, you should have yourself medically cleared by your doctor or a licensed health specialist. If you have pre-existing conditions such as high blood pressure, diabetes and irregular heartbeat, it would be advisable to forego the PWO. Why do you want to take such a powerful supplement? If you have a big competition coming up in 12 weeks, you could take the PWO for 20 days then go off on it for one week before starting another cycle. But if you have no plans to compete then regular brewed coffee should do as your Pre- Workout drink! If you have been training for fewer than two years and are below the age of 18, please stay away from PWO and supplements that contain stimulants. It may cause dependency on the supplement. As with all supplements, please read the instructions on the label carefully and strictly follow directions. 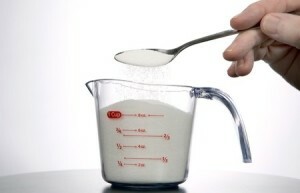 Most PWO’s are so concentrated all you need is one small scoop. There are trainers that take five scoops before workout. Definitely, that is not advisable. Finally, if you are planning to use a PWO before your training session, cut your average daily consumption of coffee in half. Better yet, don’t drink coffee at all. You may have sleepless hours ahead of you.